An annuity is an investment product often used as part of a retirement plan or other long-term financial goal. Annuities can be a good choice for individuals wanting a low or minimal risk investment. One of the best things about annuities is that they guarantee income for a specific period of time or income for the rest of a person’s life. Unlike the stock market and mutual funds, annuities are a more stable investment. Although no investment is suitable for everyone, annuities have a place in investment portfolios. 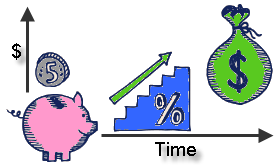 An annuity is a contract between an investor and a financial firm that sets up the annuity. This firm can be an insurance company or brokerage firm. The contract lists the terms of the annuity. The details include how a person funds the annuity, whether with one lump sum payment or with a series of regular payments or installments. Once the annuity has funds, the financial firm makes regular payments to the owner of the annuity. The owner also chooses when the income payments begin. This can be immediately or sometime in the future. All decisions regarding the annuity require a great deal of thought to achieve financial goals. Another advantage of annuities is the range of options available. A person can choose a fixed annuity or a variable annuity. Fixed annuities guarantee the same payout or distribution every year. With variable annuities, the payments vary based on the performance of the underlying investment. If the annuity invests in the stock market, the annual income reflects the movement of stock prices.One of the main benefits of annuities is that the initial investment is never lost. This is not the case with other forms of investment such as stocks. There are also important tax advantages to annuities. Most annuities offer tax deferment on any earnings generated by the annuity. This means the owner of an annuity pays no taxes until payments begin, usually after age 59 ½. According to the SEC (Securities and Exchange Commission), at this point the earnings on the annuity are taxed “at ordinary income rates” and not at capital gains tax rates. The major disadvantage of annuities is the expense in setting up and maintaining the financial product. In most cases, the financial firm that sets up the annuity gets a commission up to 5 percent or more in many cases. Then there are the administrative costs, annual fees and other charges. These costs vary with each financial firm. Annuities are long-term investments in most cases. If you withdraw the money before age 59 ½, there may be substantial penalties. Early withdrawal can cost you a 10 percent fee. The tax deferment also ends. Any money you remove gets taxed at the capital gains rate in most cases. Some annuities end payments with the death of the owner. In other situations, the payments continue for the life of the surviving spouse. Minor children may also receive payments until they reach 18 years of age. While more annuity product are providing payments to surviving family members, it is important to understand the annuity’s death benefits before making an investment decision. Annuities are a complex investment with many features and options. Educating yourself on the benefits and risks of annuities is the best way to know if such an investment meets your financial needs and goals. For more information, read the related article Are Annuities for You?